Hey, you guys put on your tennis shoes, and help us unload the semi that’s parked kitty-corner to your aunt’s house. Your uncle drove all day on the freeway to get here in time for dinner. 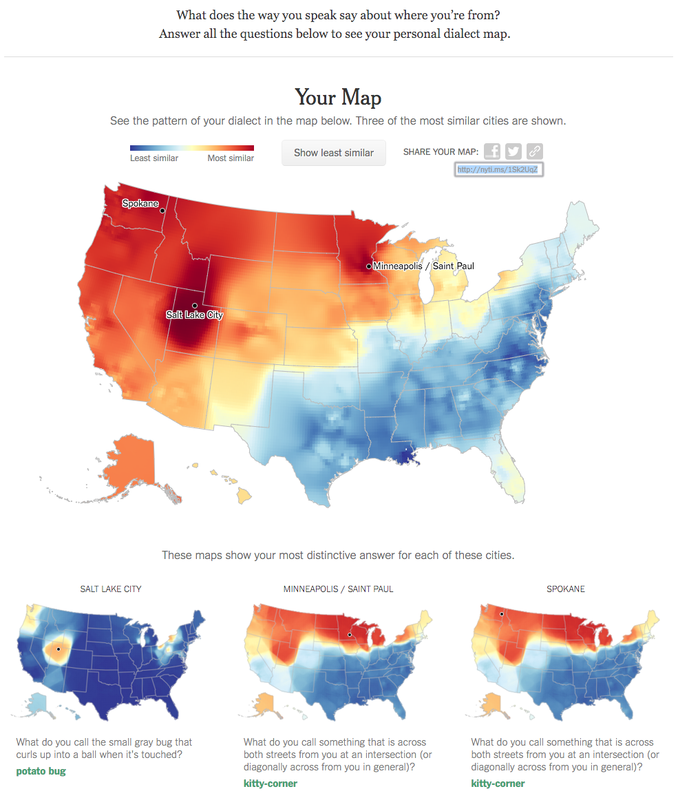 Then, grab a can of pop and relax while you take the fun and interesting New York Times Dialect Quiz. This quiz is pretty darn accurate. Here’s my dialect map! This entry was posted in Life! and tagged accent, dialect, New York Times Dialect Map, North American dialect by tarvasalutes. Bookmark the permalink.